Hi kids! Welcome to “Mr. Saturn’s Stars” for this week. I hope you will all enjoy your new horror-scopes….oh, I mean horoscopes……lol !!! Just a little Saturnian humor, excuse me. Aries- Last week was about career and this week will be about relationships. Wow, you look unhappy all of a sudden. Both the Sun and the Moon will be crossing from Virgo into Libra and entering your House of Partnerships. The Moon will do it early in the week and the Sun over the weekend, which means you’ll worry about what’s going on way more than you should and then have to deal with it anyway. A Jupiter-Uranus opposition will bring up the same old story of your independence and control issues and Mr. Saturn will be there in your House of Philosophy to make sure you realize the problem is you and not anyone else! Gemini- Venus, Mars, and Mercury in your Home and Family area are in aspect to Pluto in your House of shared resources, indicating your situation with a partner might be facing some immediate changes. That could mean establishing some new routines, transforming your roles, or the two of you moving on separately. The arc of the Moon this week through Virgo, Libra, and Scorpio would say you’ve already tried pretty hard to fix the situation, so maybe it’s just time to go? If you’re convinced that some future event you’ve been looking forward to must transpire before any change is possible, Mr. Saturn would simply respond, “How much is your quality of life suffering in the meantime? Leo- Mr. Saturn sometimes likes to role-play and his character this week is going to be your boss at work. What costume will you put on for this game….a revolutionary, a slave, or a free person? With a stellium of Planets currently in your House of Self Worth conspiring with Pluto in the House of Work, it’s time to reconsider how hard you should have to try in order to be appreciated. The Moon in Libra mid-week will contact benevolent Jupiter and hopefully those two can convince you to value yourself regardless of what anyone else does. When the Moon enters Scorpio over the weekend you’ll hear from Mr. Saturn when he asks, “Hey there Mr. King of the Jungle, Are you just going to complain about the situation or are you going to do something about it? Scorpio- Your life may seem to be in order (or at least under control within your comfort zone) but what do you want? You realize things could be better and you are quite capable at whatever you try to do, nevertheless you are hesitant to break out creatively and take a risk on yourself. When will you finally get sick of working for people who should be working for you? The arc of the Moon this week will pass through your House of Dreams and House of Confinement before it crosses over the horizon and enters Scorpio. Mr. Saturn, the famous critic, feels that the Moon’s path in your chart is symbolic of the proverbial Phoenix rising from the ashes. What do you think? Sagittarius- Early in the week a New Moon along with 3 other major planets will be in your House of Public Image, all of them generally opposing Neptune in the House of Home and Family. This will occur on the Virgo-Pisces axis, which is the line in the Zodiac between the real and imagined. Whatever you think you want from life at this time, just make sure you’re not doing it just to satisfy (or rebel against) what others may expect of you. As the Moon enters Scorpio over the weekend you’ll probably want to either pull away or lash out, just don’t expect that bottle you’re nipping at behind Mr. Saturn’s back to provide you with any real escape. Capricorn- Jupiter in your public sector and Mr. Saturn behind the scenes are causing difficulties in making up your mind about some recent choices. This has been a time of great change and with the current influx of planets into Virgo you are probably unfairly criticizing everything in your life before anything has a chance to really unfold. The best thing you can probably do now is to utilize a Moon-Neptune aspect over the coming weekend and take the time to nurture yourself. Consider visiting a spa or taking a Spiritual Retreat. Even Mr. Saturn likes to hear a friendly “Namaste” from time to time. 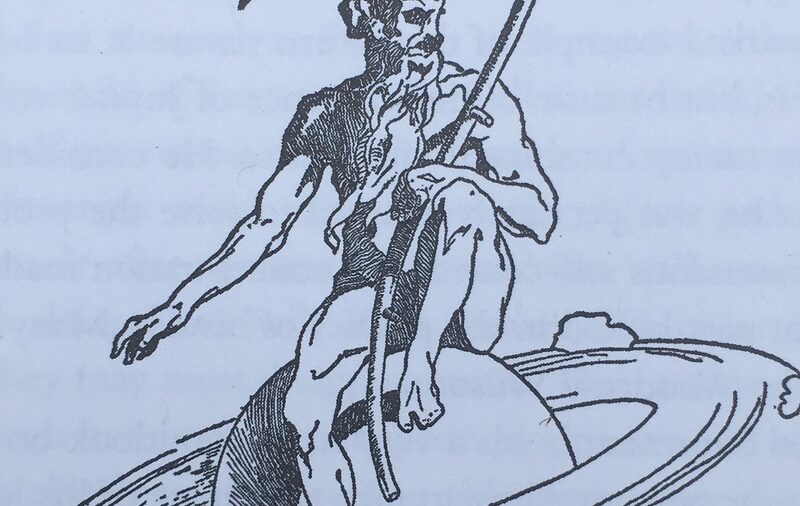 Aquarius- Mr. Saturn say’s, “Be careful what you wish for.” As a fixed air sign you are more vulnerable to illusion than most, simply because air is meant to move and fixing it in a vacuum is an artificial contrivance no matter how perfect the notion of a vacuum may seem. You are looking for control over your daily environment but at what cost? The New Moon in Virgo at the beginning of the week will drive your insecurities, so by the time a Scorpio Moon and Neptune meet over the weekend you will have justified to yourself whatever you feel is necessary to accomplish your “Manifest Destiny”. By month’s end when Mercury enters Libra we’ll see if your calculations have been correct. Pisces- With Neptune in your sign the fog has descended all around, so make sure that what you think you see in the distance is what it appears to be. Money is an issue at this time as Jupiter and Uranus challenge you to choose between responsibility and luxury when juggling your expenses. Venus entering Virgo could reveal a dangerous naiveté regarding the resources you are assuming you have. A new love interest may actually be more calculating than you are, but in all this fog Mr. Saturn just thinks it’s a case of “dumb and dumber” with both of you blinded by your own selfishness. Be careful nonetheless.